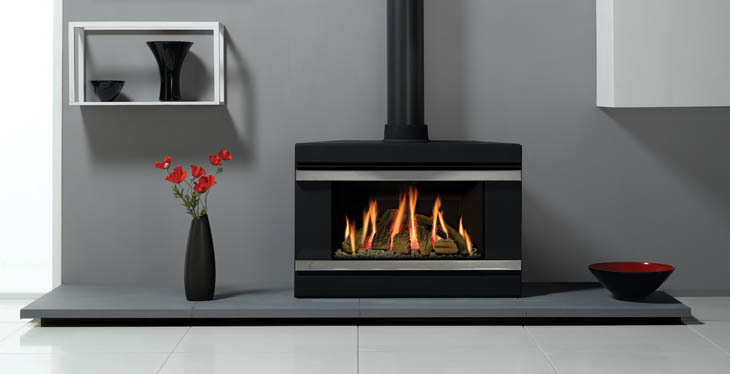 The Riva F67 Gas stove offers high levels of heating performance and efficiency. It is a stove that looks more like a contemporary fire and is a stylish option for your home. At the heart of this stove is a high efficiency gas log fire. It provides the atmosphere of a real fire with up to 4.9kW of heat at the turn of a switch. If you choose the Command Programmable remote control you can set the fire to switch on/off when you want – or adjust the temperature from your armchair. As standard the F67 can be hearth mounted, but an alternative choice is to combine it with a Riva Bench. This raises the stove 350mm off the hearth. Alternatively, install it with the Riva Pedestal, this also raises your stove off the hearth and because of the design of the pedestal it can be placed in a corner.